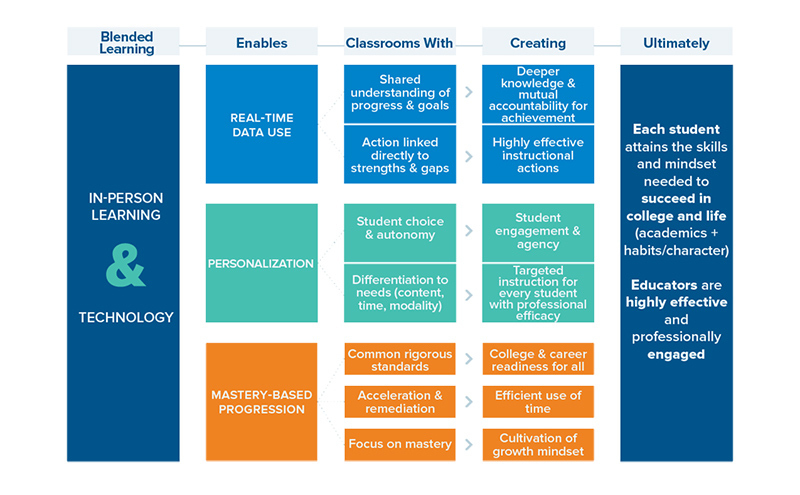 Blended learning is the strategic integration of in-person learning with technology to enable real-time data use, personalized instruction, and mastery-based progression. It is a mechanism for giving educators, students, and parents the resources they need to deliver on the vision of a highly effective, engaging, and equitable education experience for every child, every day. 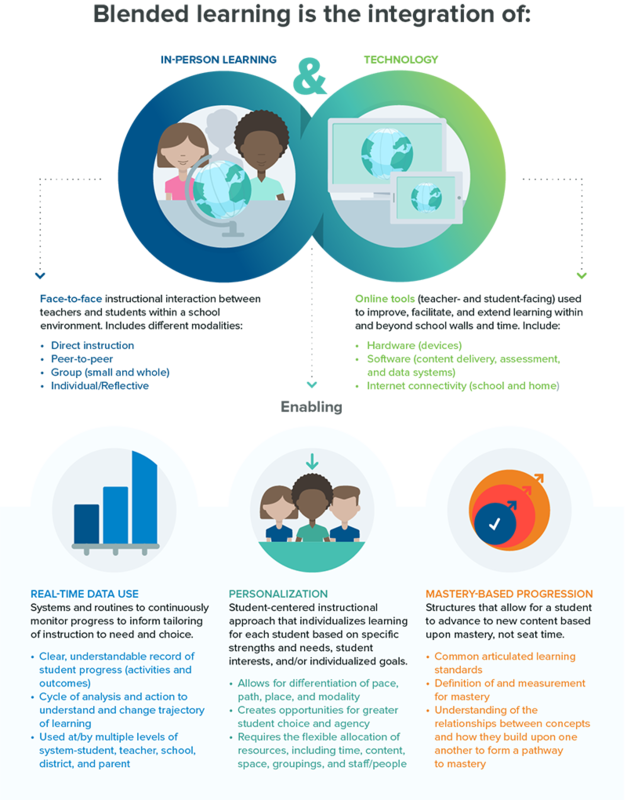 As an innovative approach, blended learning is a crucial lever for creating truly great schools for learners and educators. Each student, regardless of background, learning difference, or socioeconomic status, can attain the skills and mindsets needed to succeed in college and life. Educators, empowered with tools and supports they need to reach every child, become even more effective and professionally engaged. 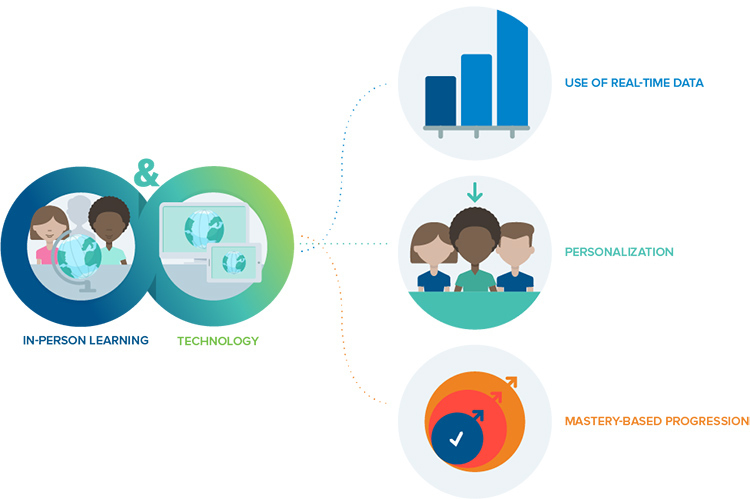 The Learning Accelerator, "What is Blended Learning?" What does it take to implement and scale? Why make the shift?